Accelerating Quality Responsiveness with the QMS QIM Fiori Apps! We were proud to introduce the New QMS QIM Fiori Apps last week at SAPPHIRE 2016! Please take a moment to review the PowerPoint Presentation which you may download from Dropbox. If you are a customer currently running SAP Notifications and are looking to upgrade to SAP QIM, the QIM Fiori Apps are a great way to, as the title of this blog suggests, accelerate quality responsiveness in your company. If you are currently running SAP QIM or are a new customer looking to implement SAP QM/SAP QIM, the QIM Fiori Apps are for you as well! 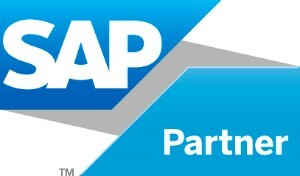 Join QMS, Inc. at the SAP Manufacturing Industries Forum 2016! Please join QMS at the SAPPHIRE NOW and ASUG Annual Conference!